Are you an allergy mama? Me too. I have two mini adventurers who love lego, puddle jumping and dressing up. They also have multiple life threatening allergies. I would take their allergies away in a heartbeat if I could, but while they are part of our lives I want to face them with positivity. We won’t hide them or be ashamed of them. We won’t let them limit our lives or define who we are. We will make informed decisions and continue to educate ourselves and others and I want to help others do the same. 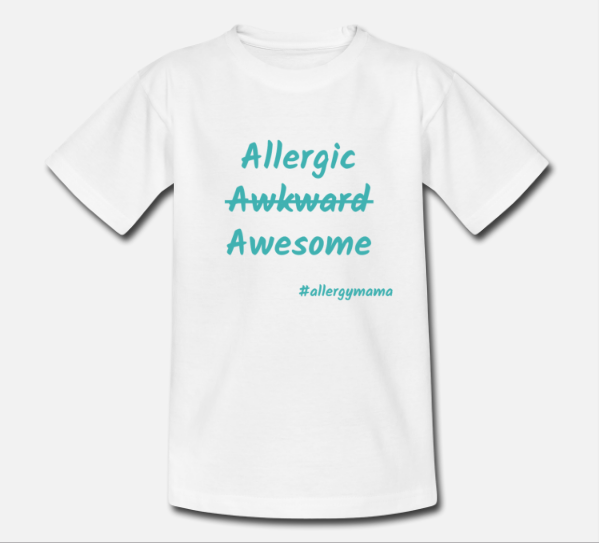 That’s why I have set up my new project – Allergy Mama Store. I wanted a way to say to other allergy mamas: it’s OK to be scared, overwhelmed and anxious. It’s OK to feel like you are alone and lost. But there are so many of us out there, let’s stand together. Let others know you are in the same situation and be proud of who you have become. That’s what our first product is all about. It’s a super soft, organic sweatshirt that captures and celebrates everything you have achieved. It shows other people on their own allergy journey that you know how they feel and are part of the community. At the same time, I wanted to create a slogan to celebrate our awesome allergy children. This isn’t something they chose but it is something they shouldn’t be embarrassed about. 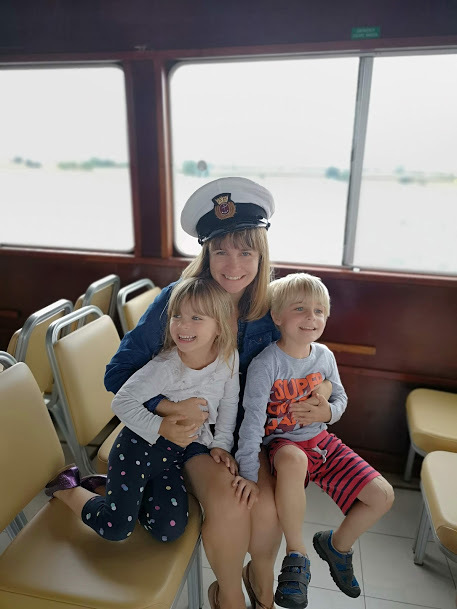 The more they are able to stand up and they ‘this is who I am and this is why I do things my way’, the safer they will be and the less anxious they are likely to become. 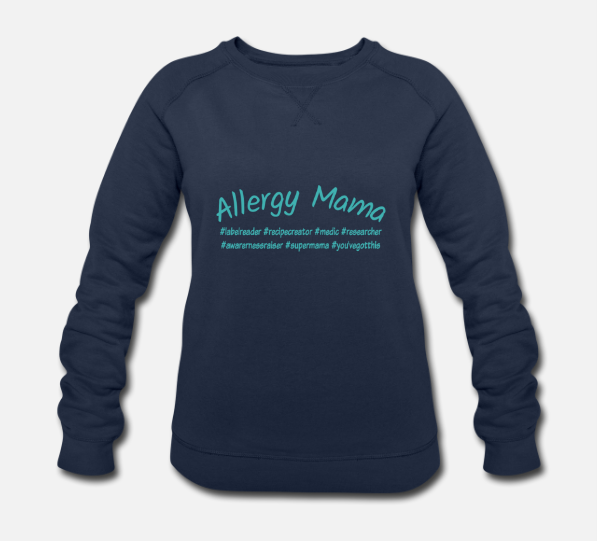 Another important part of Allergy Mama Store is that we want to use it to support others. There is a great lack of psychological support available for families living with allergies. Online forums can help but can also be filled with misinformation and fuel anxieties. We want to fund in-person projects and allergy mama meetups, and will be donating 20% all profits to schemes around the country. So that’s a quick introduction to our exciting new venture.